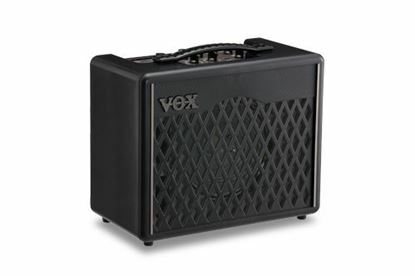 Mega Music presents a world of great Vox guitar amplifiers, the classic alternative rock guitar amp. You can explore the goodness of the Vox flagship AC Series, naturally. But there's even more, with the compact Mini series, AC 4's, versatile VR, Valvetronix and Night-train amplifiers that offer variety that caters to your individuality. Put all this together and there is going to be a considerable amount of Vox-ness going on when you are ready to create your own sweet, dirty, crazy or cool tone. 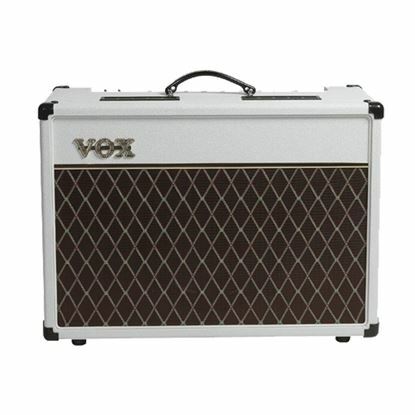 So welcome, browse the Vox amplifiers on-line and in-store that await your discovery at Mega Music. Featuring the classic Celestian G12M Greenback speaker, the AC15C1 is an all-tube workhorse that delivers 15 watts of authentic British tone. Featuring a Celestian Alnico Blue speaker, the AC15C1X is an all-tube workhorse that adds a new dimension to classic Vox sound. Featuring two classic Celestian G12M Greenback speakers, the AC15C2 is an all-tube workhorse that delivers 15 watts of authentic British tone. Featuring meticulous turret board handwiring and a Celestian G12M Greenback speaker, the Vox AC15HW1 handwired all-tube amplifier is set to deliver a rich and powerful sonic experience. Featuring meticulous turret board handwiring and a Celestian Alnico Blue speaker, the Vox AC15HW1X handwired all-tube amplifier is set to deliver a rich and powerful sonic experience. Featuring two classic Celestian G12M Greenback speakers, the AC30C2 is an all-tube workhorse that delivers 30 watts of authentic British tone. Featuring two classic Celestian Alnico Blue speakers, the AC30C2X is a 30 watt all-tube workhorse that adds a new dimension to classic Vox sound. Featuring meticulous turret board handwiring and two Celestian G12M Greenback speakers, the Vox AC30HW2 handwired all-tube amplifier is set to deliver a rich and powerful sonic experience. Featuring meticulous turret board handwiring and two Celestian Alnico Blue speakers, the Vox AC30HW2X handwired all-tube amplifier is set to deliver a rich and powerful sonic experience. The AC30 handwired head features meticulous turret board handwiring and 30 watts of authentic Vox tone. Paired with a handwired cabinet like the Vox V212HWX, the AC30HWH is sure to deliver a rich and powerful sonic experience. 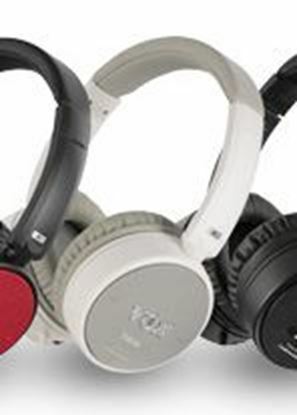 The Vox amPhone Bass is designed specifically for low frequencies therefore offering a wide-range response. Equipped with headphone technology from Audio-Technica, the amPhone Bass is a useful solution for the mobile guitarist. The Vox amPhone Lead delivers the classic crunch of a UK-made 100W amplifier. Equipped with headphone technology from Audio-Technica, the amPhone Lead is a useful solution for the mobile guitarist. The Vox amPhone Twin gives you the clean sound of a classic US-made amp. Equipped with headphone technology from Audio-Technica, the amPhone Twin is a useful solution for the mobile guitarist. The V212HWX handwired guitar speaker cabinet features two Celestian Alnico Blue speakers capable of producing 30 watts of authentic Vox tone. Paired with a worthy handwired head like the Vox AC30HWH, the V212HWX is set to deliver a rich and powerful sonic experience. 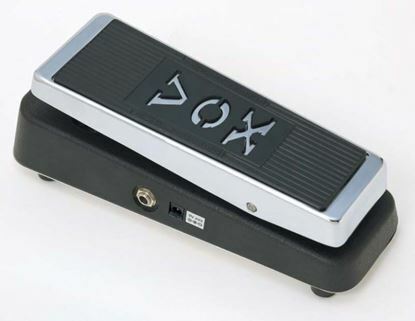 Based on the design of the original 60's Vox wah pedal, the reimagined Vox V847 delivers that authentic wah sound you've heard from many of your favourite classic records. As a result, the Vox V847 has become a staple on many guitarists' pedalboards. The AC10 was one of the first amplifiers to bear the VOX name and has long been adored for his ability to achieve rich, articulate tube tone at very manageable volumes. The Vox 60th Anniversary AC15HW60 is a faithful recreation of a true landmark amplifier in Vox’s rich history, the EF86 equipped AC15 from 1957. Representing the pinnacle of Vox amplification, this extremely limited edition amplifier delivers an incredibly rich and powerful sonic experience. 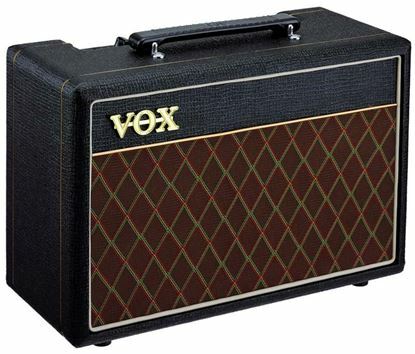 The Vox 60th Anniversary AC30HW60 is built in the tradition of its iconic predecessor, the 1964 Vox AC30/6. Representing the pinnacle of Vox amplification, this extremely limited edition amplifier delivers an incredibly rich and powerful sonic experience. Equipped with Vox's innovative Nutube pre-amp circuit, the MV50 AC serves up the classic chime and distinctive crunch of a Vox AC30 in a portable and powerful format. The MV50 AC is a 50 watt workhorse that is set to deliver on the stage and studio. Equipped with Vox's innovative Nutube pre-amp circuit, the MV50 Boutique distills the sound of a legendary boutique amp coveted by guitarists in a portable and powerful format. The MV50 Boutique is a 50 watt workhorse that is set to deliver on the stage and in the studio. Equipped with Vox's innovative Nutube pre-amp circuit, the MV50 Clean provides natural clean tones with plenty of headroom in a portable and powerful format. The MV50 Clean is a 50 watt workhorse that is set to deliver on the stage and in the studio.